Orbeon is a commercial grade LED parking garage and canopy luminaire which utilizes high powered LEDs, precise efficient optical control, and features application versatility through integrated intelligent control options. 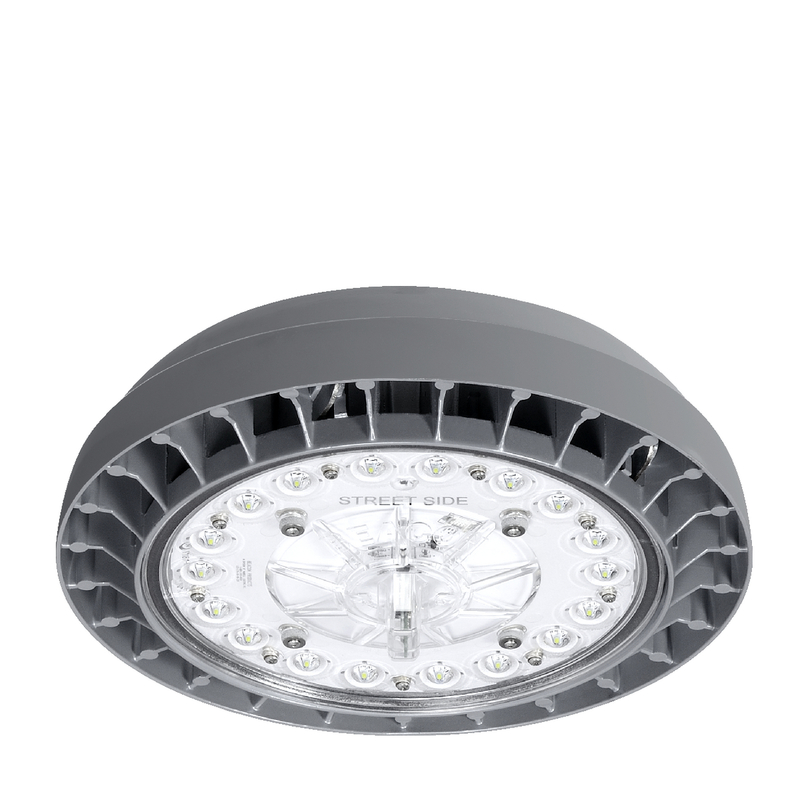 Orbeon is designed to replace up to 175W and 250 Watt HID lamps with 60 Watts, and at the same time reduce maintenance by delivery of over 100,000 hours of projected life. Certified to UL 1598 and 8750 for use in wet locations. Monolithic die cast aluminum housing, providing direct convective heat exchange between LED light engine and cool ambient air. 120V through 277V, 50 Hz to 60 Hz. Electro-galvanized mounting bracket for quick and easy mounting to overhead junction box. Electrical components are rated at 100,000 hours at full load and 25ºC ambient conditions. An optional bird guard provides a conical surface surrounding the junction box, to deter birds from nesting atop the luminaire. Optional Beaconnect wireless control provides an affordable and reliable controls solution. LED drivers are strategically heat sinked to the main housing for maximum reliability and longevity.